Let your customers to track each step of shipment from his account. Support for over 430 couriers worldwide. 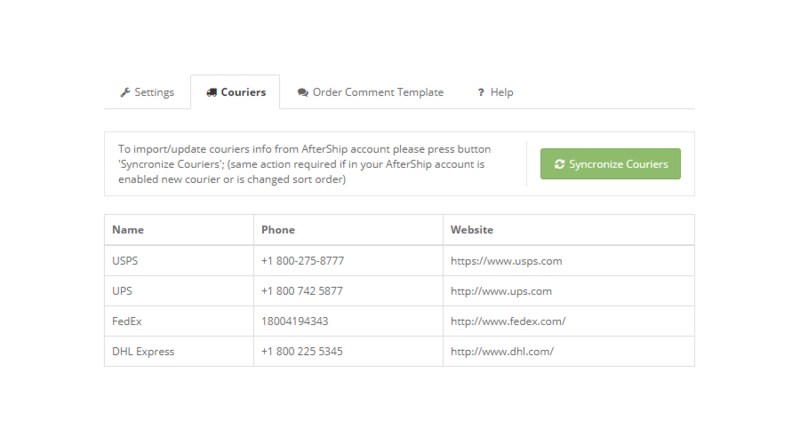 From your AfterShip account select couriers you want to use and just press Syncronize button to import all of them in your store. Choose your courier from over 430 available couriers services / companies. 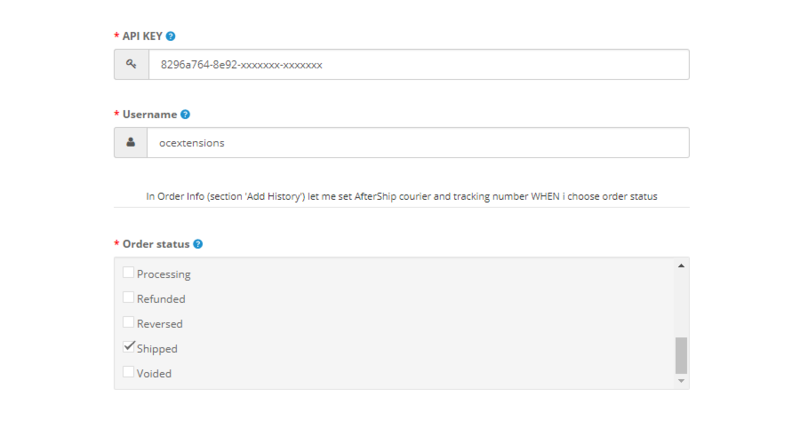 In order details (add history section) select status specified in extension settings and will enable selection of courier + tracking number. 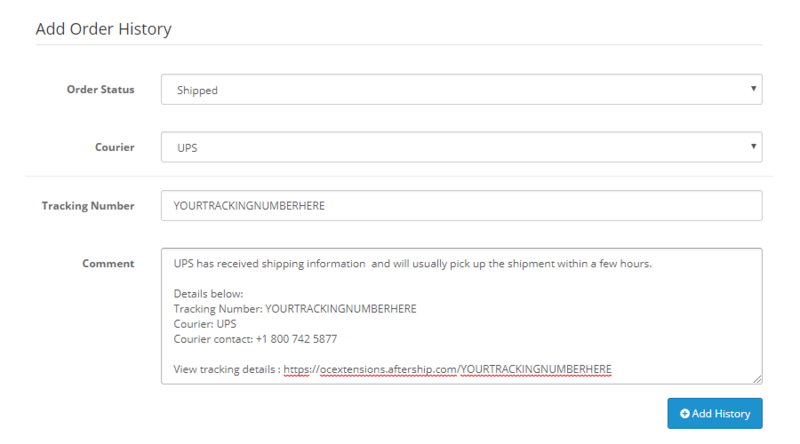 Select courier, add tracking number and order update status is also auto-generated. 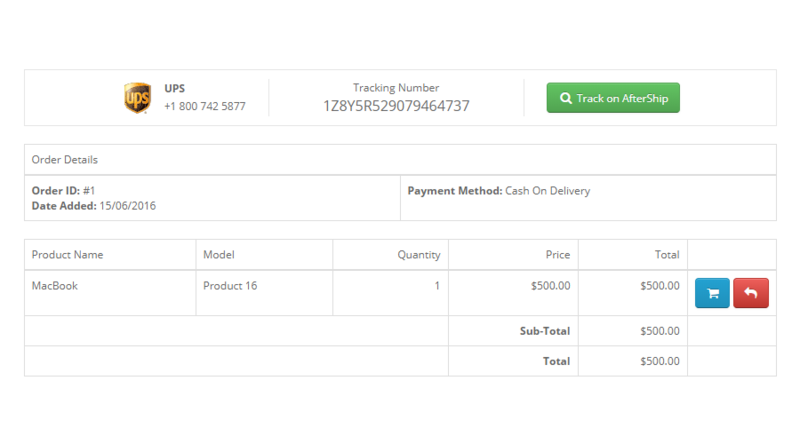 Click "Add History" and email is sent to customer with shipping details also all info are sent to AfterShip API. 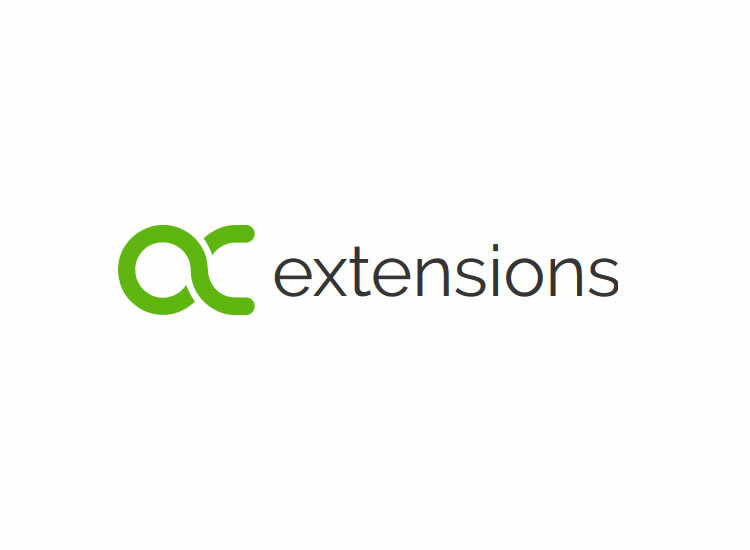 Message can be easily customized from extension settings and, of course, special keywords are available. 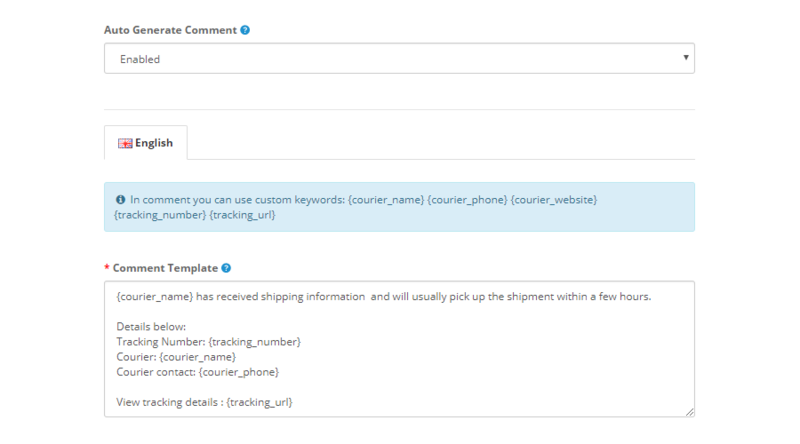 You can use special keywords for courier name, phone, tracking url etc. wAIT, WAIT ... ANY EXAMPLE? 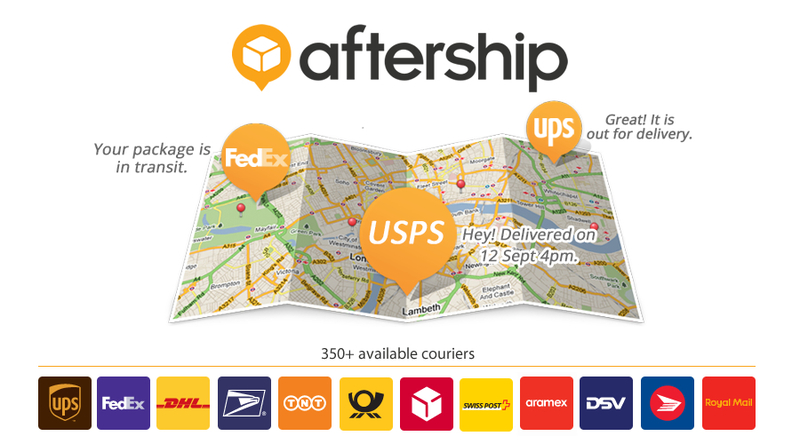 Most common answered questions about AfterShip - Smart Shipment Tracking.